Ernest Elsworth-Wilson leaves the employ of the SDR today (Friday 26 April) to join First Great Western on the “Big Railway” — their gain is our loss. 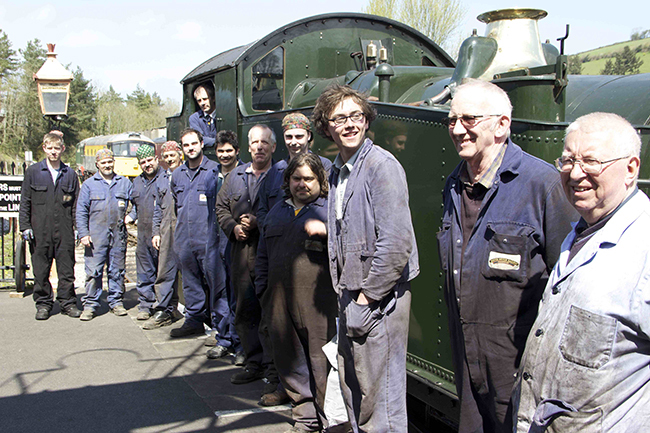 On Thursday 25 April a presentation was made to Ernie, who was firing 5542 on its last turn before going to the Gloucester Warwickshire Railway for the season. Marina Mitchelmore presented a card and gift vouchers, and most of the staff from SDR Engineering (bottom picture) also came along to see him off. 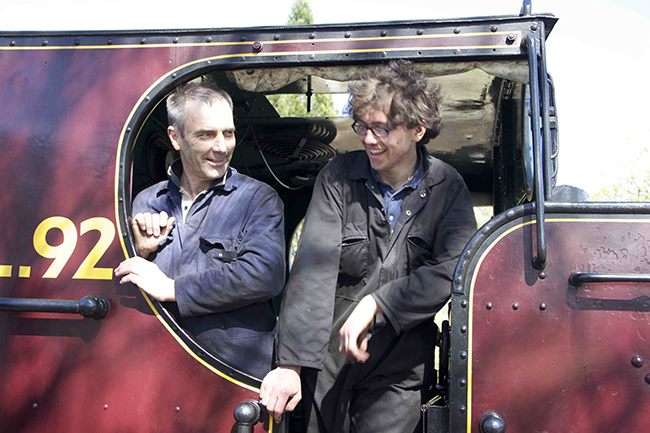 Ray Lee took over as driver on 5542 for the afternoon trains, and he and Ernie are seen on the engine. 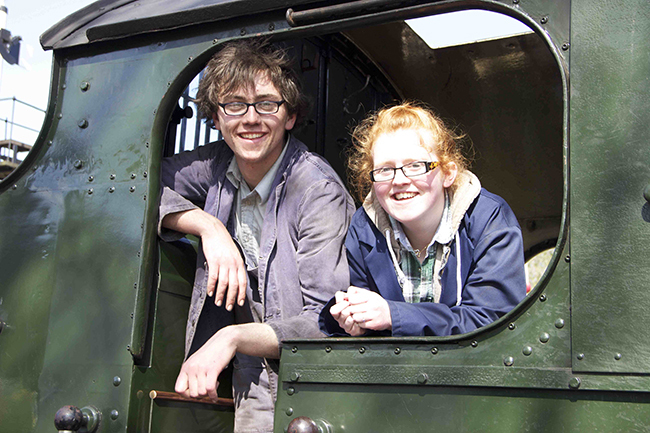 An unexpected guest (at least to Ernie) was his girlfriend Amy (top picture), who also joined them on the footplate for the 2.15 departure to Totnes. 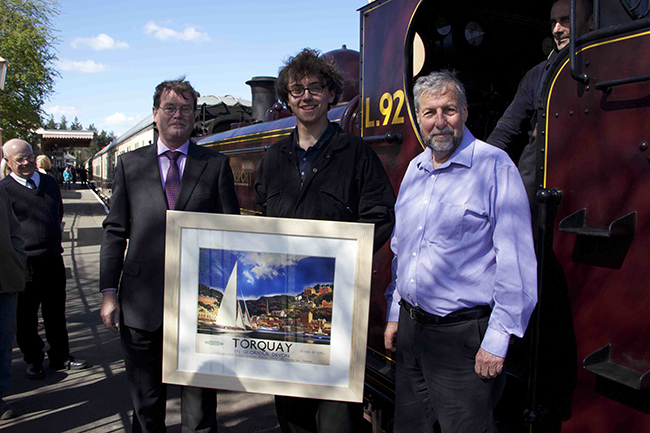 Everyone at the South Devon Railway wishes Ernie well for the future, and hopes to see him back in a voluntary capacity.